NEW YORK – It took a while, but 9-month-old Steel McCutchen seemed fine with Dad’s new look. 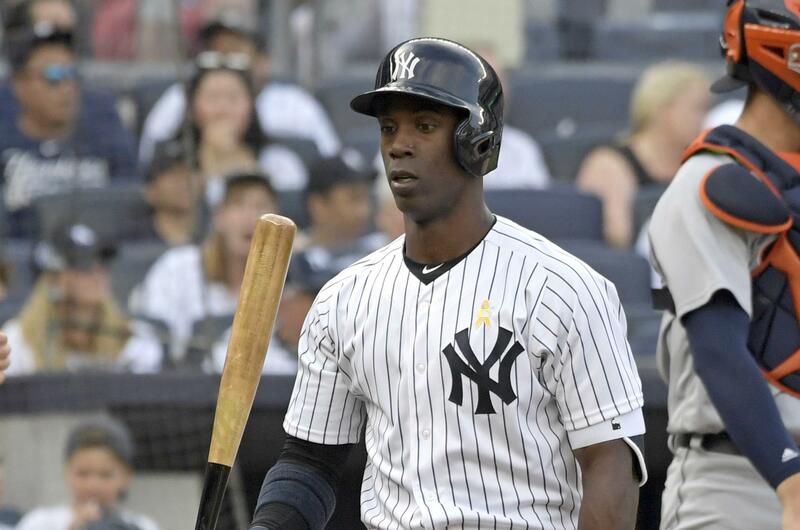 Andrew McCutchen liked his fit with the New York Yankees, too. A day after being traded from San Francisco, the former N.L. MVP stepped back into a playoff race Saturday. He drew a warm ovation at Yankee Stadium when he was introduced as the leadoff hitter and right fielder, then struck out in his first two at-bats against Detroit. At least his grooming got off to a smooth start. Adhering to the Yankees’ strict policy on facial hair, he shaved off his familiar beard before the debut. His son got a good, close view. McCutchen spent his first nine seasons in Pittsburgh – the Steel City – and was traded to San Francisco in January. The five-time All-Star was hitting .255 with 15 home runs, 55 RBIs and 13 stolen bases when the Giants sent him to the Yankees. “I feel like a lot of baseball players want to at least throw the pinstripes on for who knows how long just to say you did it,” McCutchen said. “I’m on a new team and we have an opportunity to do big things here so in a sense, yes, I am nervous, but at the same time I look at it as a good thing because that means I care about it,” he said. Published: Sept. 1, 2018, 6:27 p.m.